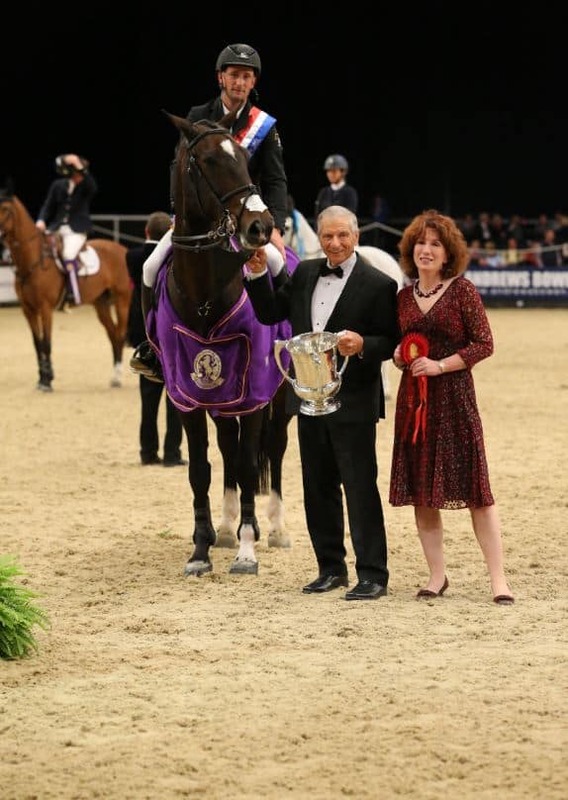 It was an impressive display by one of the week’s most consistent riders and brought to an end a memorable 70th anniversary edition of HOYS. Eight combinations from 26 starters made it through to the jump-off, including defending champion Nigel Coupe and the likes of multiple major championship medallist Michael Whitaker and Irish star Trevor Breen. Karel was on unstoppable form, clocking 38.33 seconds to win by more than two seconds from Lancastrian Nigel on Golvers Hill, while Trevor finished third on Golden Hawk and Michael took fourth aboard Valmy de la Lande. “It was a lovely jump-off round,” Karel said. “It sounds strange, but for my horse I went slow and tried to clear the fences because he turns very fast and he wants to go fast over the fences, so I really had to take my time a bit to jump the fences. By nature, he is a fast horse. “I came here for the first time 15 years ago, and I really loved it. I loved the atmosphere, and I have been coming back for the last three years. I was always clear in the grand prix, and this year I was really motivated to try to win it. This show is amazing; the people are so nice and the riders are so competitive.